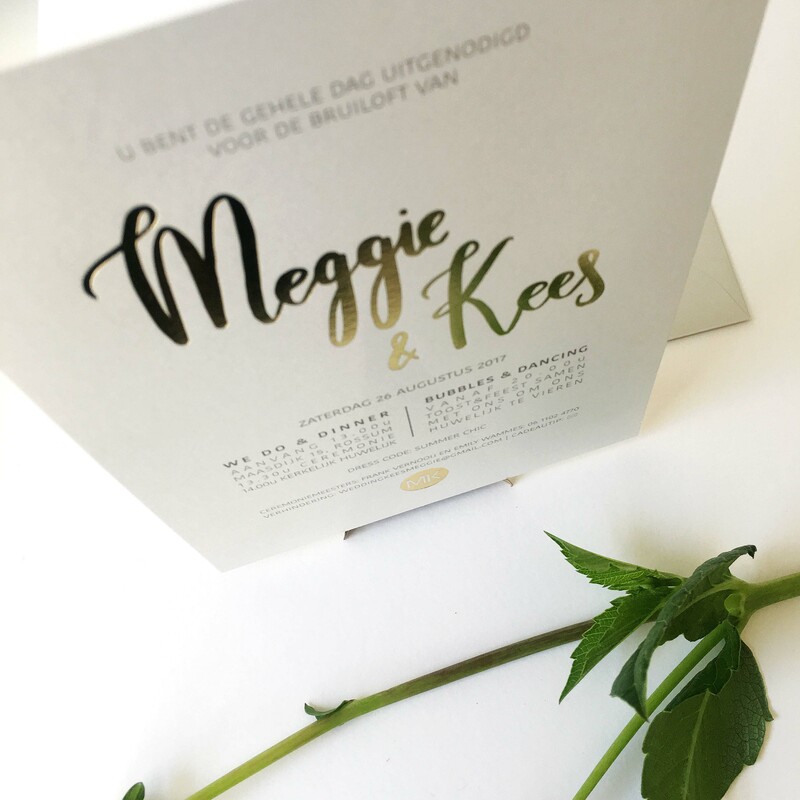 Do you want to send out a custom invitation for your wedding? 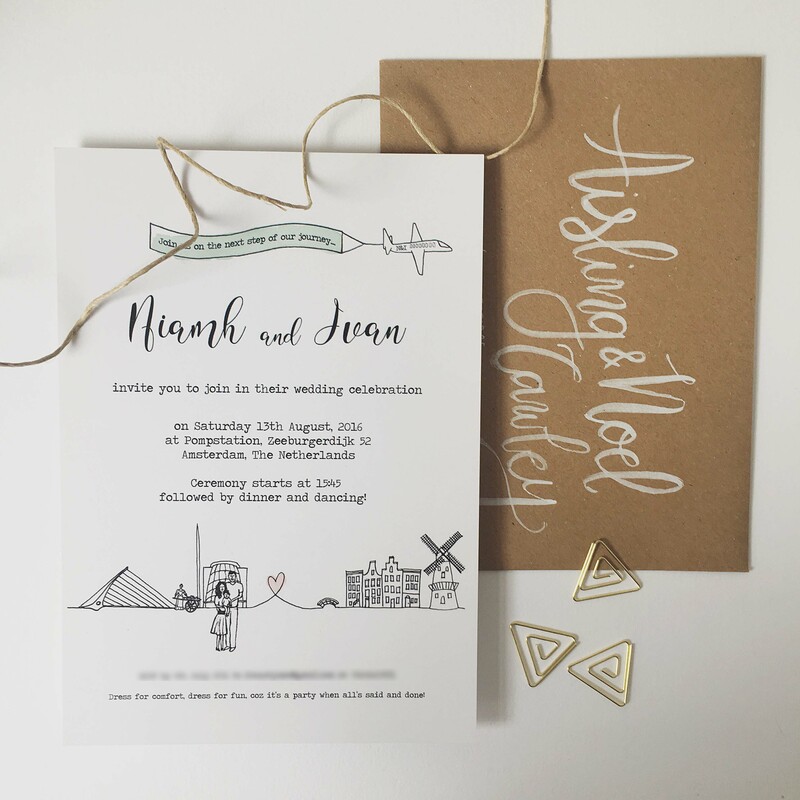 A truly unique design that's really 'you' and that matches the perfect day you are planning? 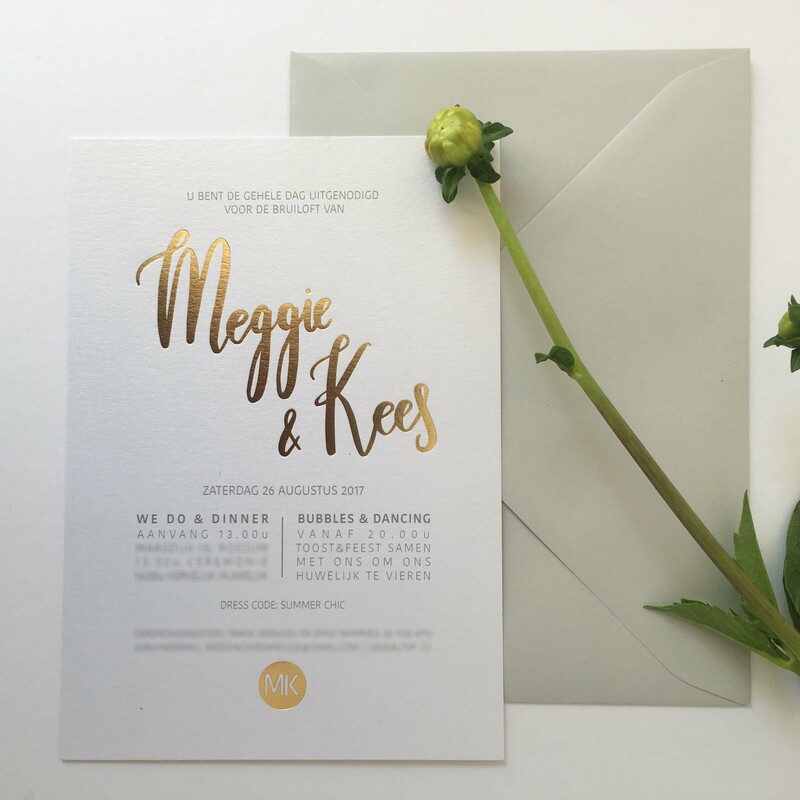 In my designs for wedding stationery I often work with calligraphy, brush lettering and personal illustrations. We start with a meeting, live or on the phone, about your wishes and style and about what your wedding will look like. Then I start designing. You will receive the initial design within 2 weeks after our first meeting, and from there we work towards a perfect end result together. All cards are printed on high quality paper with matching envelope. I only use eco friendly paper that has been recycled or that's made of 100% cotton, and for every order I plant a tree through Trees For All. 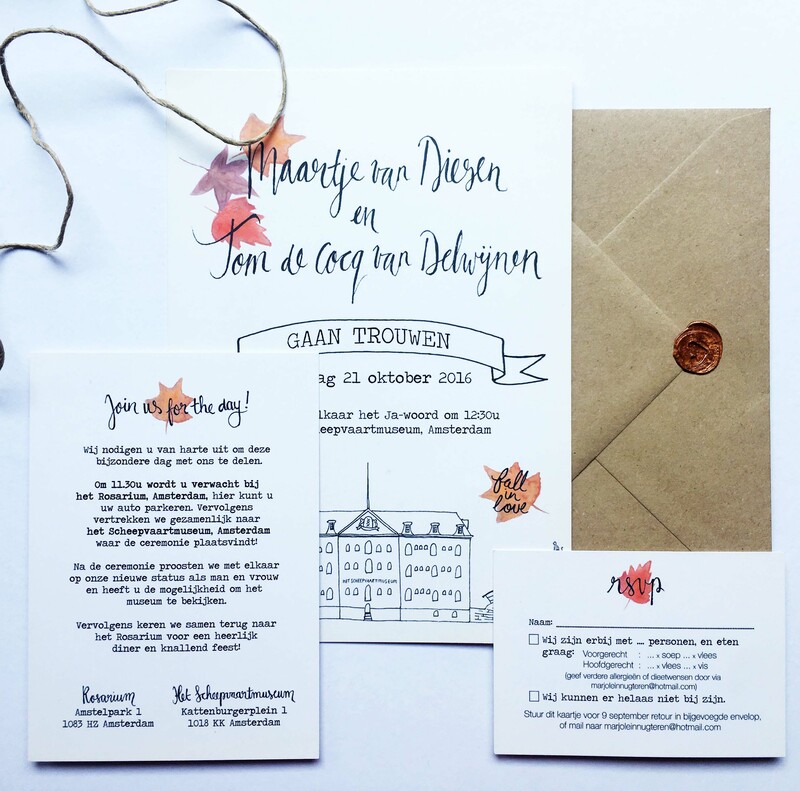 You can find my price list for custom wedding stationery here. Contact me to discuss your wishes, or follow me on social media through the buttons below.